Tornike Shengelia gets one of the most lucrative deals ever for a Baskonia player. 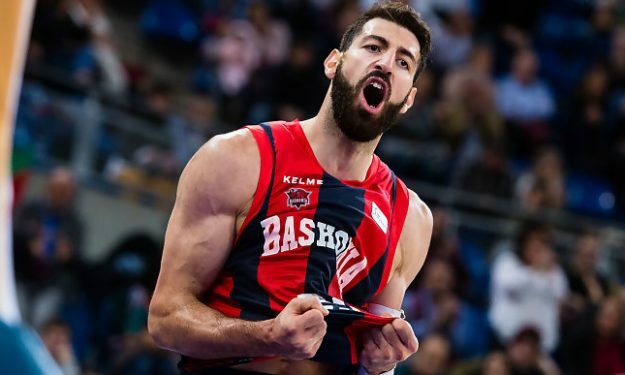 Baskonia and Tornike Shengelia have agreed to a new four-year contract, with an NBA opt-out, that will keep the two sides together until 2022, according to Eurohoops sources. The Georgian forward had an active contract through the 2019-20 season which was extended for two more years. Shengelia will be signing one of the most lucrative deals currently in EuroLeague and one of the highest-paid contracts in Baskonia history, en route to becoming an emblematic figure for the club. The player first joined the Basques in 2014 and last season, he was named in the All-EuroLeague and All-ACB First Team. Shengelia, 26, posted an average of 13.7 points, 6.6 rebounds, and 2.2 assists in 33 EuroLeague games this past season with Baskonia.